As Ottawa overhauls its cultural policies, Canadian record labels are pleading for the federal government to revise copyright laws in favour of artists, hoping to offset internet-driven losses to both musicians and the businesses that support them. Industry association Music Canada is asking Ottawa to change two specific pieces of the Copyright Act, which faces a mandated five-year review this year. The combined amendments could deliver more than $50-million in extra royalties to performers and their record companies annually, the group says. One request is believed to be straightforward – to amend the definition of "sound recording" to widen the scope of who gets royalties for the use of music on film and television. The other is more controversial and reignites a tension between the music business and radio broadcasters. The label association is hoping Ottawa will remove a two-decade-old piece of the act that exempts radio stations from paying royalties to labels and performers from their first $1.25-million in annual ad revenue, save for a nominal $100 fee. The group insists the exemption amounts to a "subsidy" for the radio industry by letting stations use their content without fairly paying the copyright holders. But the Canadian Association of Broadcasters insists that the allegation neglects the payouts radio does deliver to Canadian artists, as well as the promotion that stations give their music. Canada's recorded-music industry has lobbied for similar changes during past Copyright Act reviews. But as Heritage Minister Mélanie Joly conducts a sweeping re-evaluation of Canadian cultural policies, Music Canada released a report last week that it hopes will catch political attention. It highlights the radio-royalty and sound-recording recommendations as two key chances to reduce the "value gap" between music's worth and the revenues paid to artists. "In these situations, there is always a fear that government will propose vague solutions that don't make real, tangible change," Graham Henderson, Music Canada's president, said in an interview. "Our goal was to point at two changes that will put millions of dollars into the pockets of music creators and people who invest in them." A copy of the report has been sent to Ms. Joly's office, he said. 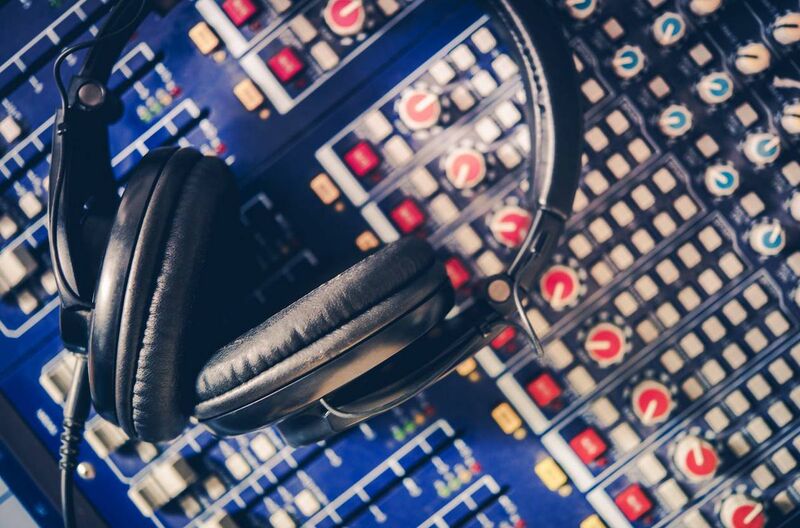 The tension around royalty payments is partly focused on who, exactly, is promoting whom: whether radio stations give artists fresh ears to drive music sales+ or whether songs drive people to tune into radio stations, giving them opportunities to sell ads. The broadcasters' association declined an interview but sent The Globe and Mail comments by e-mail. "The allegation that local radio is somehow being subsidized by Canadian artists and record labels is both untrue and disappointing given the level of support we provide to the Canadian music industry each year," its statement reads. The exemption, the broadcasters said, is designed to help smaller radio stations, and reflects similar royalty rules in the United States. In Canada, "local radio pays close to $100-million each year in music royalties and contributes close to $50-million each year in developing and promoting Canadian artists domestically and around the world and remains a key platform for discovering new music." Bolstered by streaming-music services such as Spotify and Apple Music, recorded-music revenues are on an upswing, but are hardly back to where they were in the high-margin compact-disc days. Music Canada represents the "big three" labels – Universal, Sony and Warner – and a number of independent companies. It recently worked with an Australian economics professor to determine how much money has been lost since the early days of digital music. Had annual revenues simply matched the pace of inflation and real gross domestic product growth, he found that between 1997 and 2015, an additional cumulative $12.6-billion could have been generated for music creators. For the same period, according to Statistics Canada, operating revenues for the country's radio broadcasting industry grew from $871-million in 1997 to $1.6-billion in 2015. Music Canada also hopes to wring more cash from TV and film by expanding royalties to accommodate performers. The fiddler, label-owner and musicians-rights activist Miranda Mulholland highlighted this issue at an Economic Club of Canada speech earlier this year. "Even though I played on almost every episode of CBC's Republic of Doyle, which is now syndicated worldwide, I only receive the one-time union rate I got per session, which was around $280, while the composer collects residuals every time that show airs," she said.